Access all the tools you need to manage patient experience and engagement from a single platform with Jayex Connect. Modern healthcare demands patient services that are digital, easy-to-use, and engaging. Made up of 5 modules, each targeted at a specific aspect of patient management, Jayex Connect delivers all of this in one neat package. Online appointment booking reduces the burden on your resources and offers patients a modern healthcare experience. Transform your waiting room with digital displays that simplify communication, improve patient flow, and enhance the patient experience. 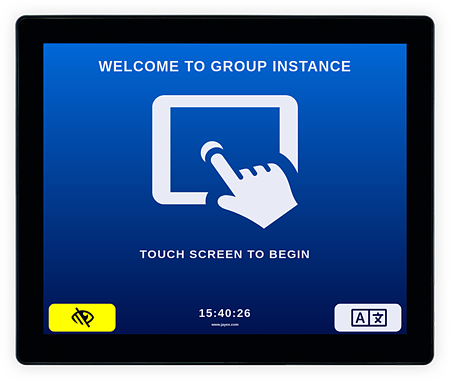 Our patient self-check-in module helps you regain control over messy and time-consuming arrivals processes. Our patient engagement module makes creating and sharing targeted healthcare campaigns simple. Jayex Survey provides an easy-to-use toolkit for designing and publishing your own custom patient questionnaires. Time for a Different Approach to Patient Engagement? Then let us show you how Jayex Connect can deliver all your patient-facing requirements from a single dashboard.